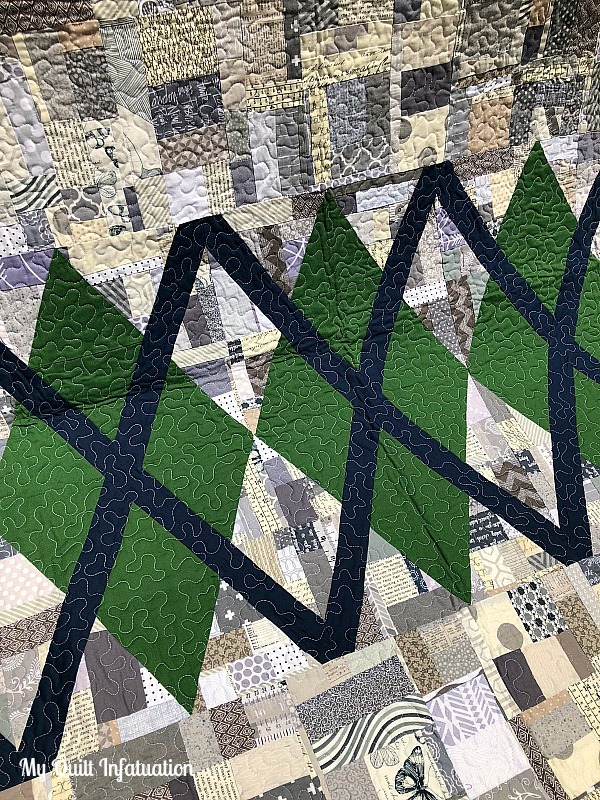 Going North has expansive negative space, a hallmark of modern quilt design, so you just have one panel to piece. 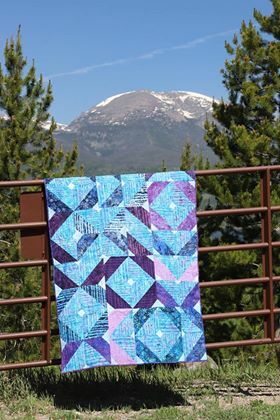 That makes it great if you are just learning, need a fast gift, or want some wide open space to practice your quilting on. We are in the home stretch, y'all! 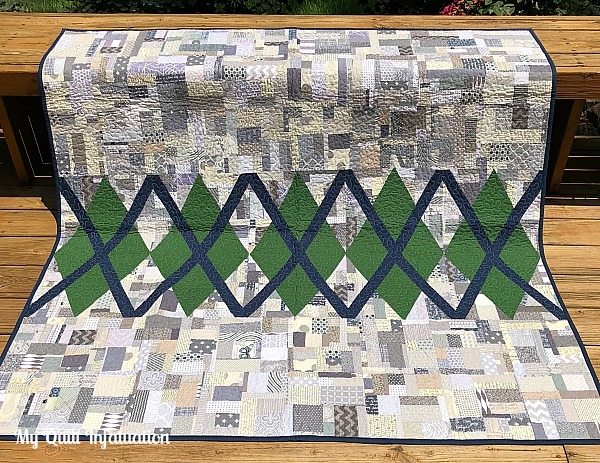 After this month, I can't believe that we only have the snowball and flying geese filler blocks left, and then it will be time to put our quilt tops together. 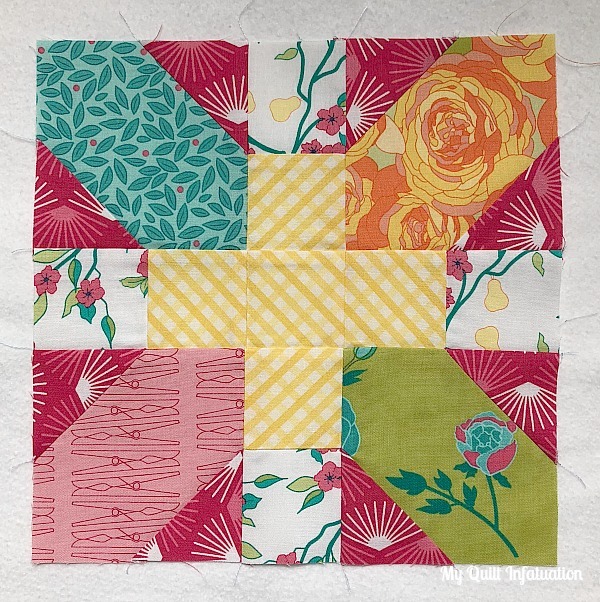 With my love of all things scrappy, it is no wonder that the blocks for this month are two of my favorites in the entire quilt. Happy Monday, friends! I hope you're ready to kick off another awesome week. 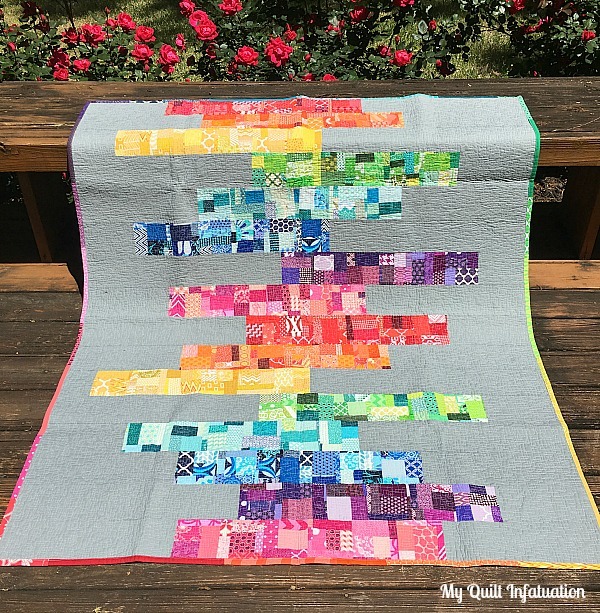 Today's quilt on the Stash Statement blog hop is College Prep, and it's the perfect quilt to use up all of your neutral scraps. The shades of gray, taupe, and cream combine to create such amazing texture, and it allows the giant argyle blocks to really stand out. I quilted with a dense stipple using 50 wt. 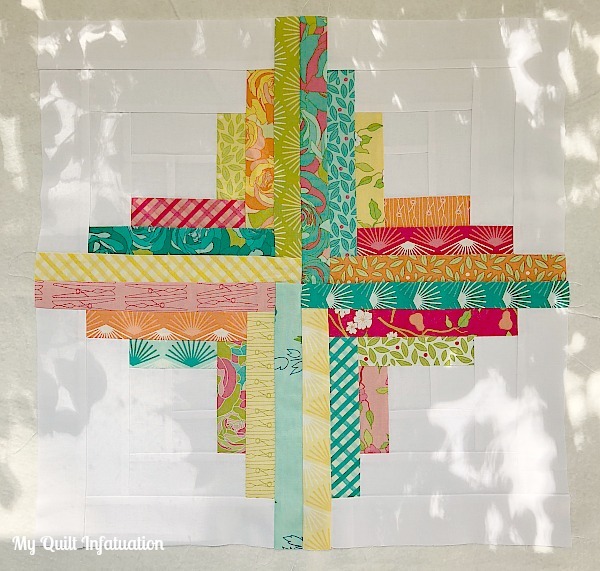 Aurifil White, and I love the added crinkle. 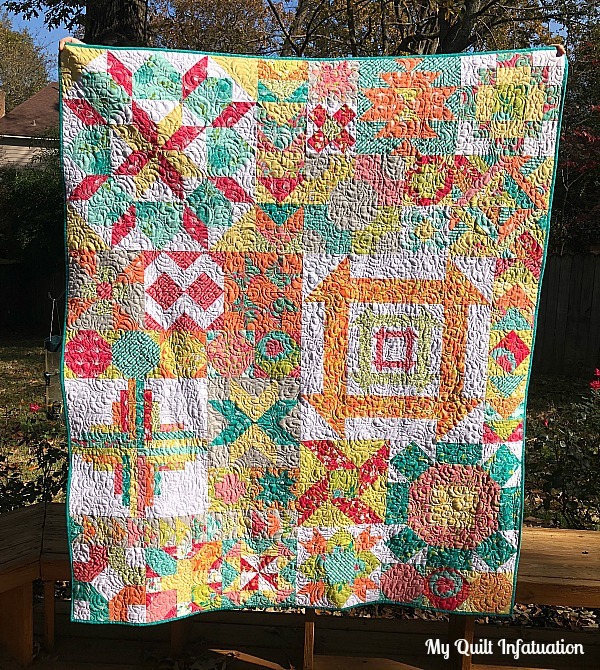 A pretty little quilt I designed about a year ago. 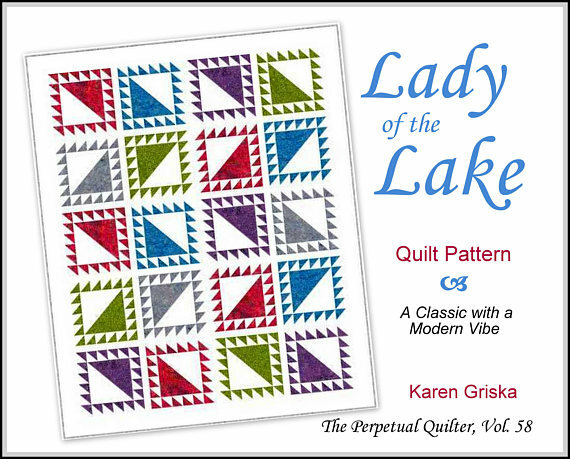 It sat in the graphing book until I saw one of the challenges as an Island Batik Ambassador was a modern quilt challenge. I dusted this baby off and sent it to the testers. This version is the one I made for the challenge. I used the Blue Moon line I received from Island Batik as part of their ambassador program. Wow, friends! 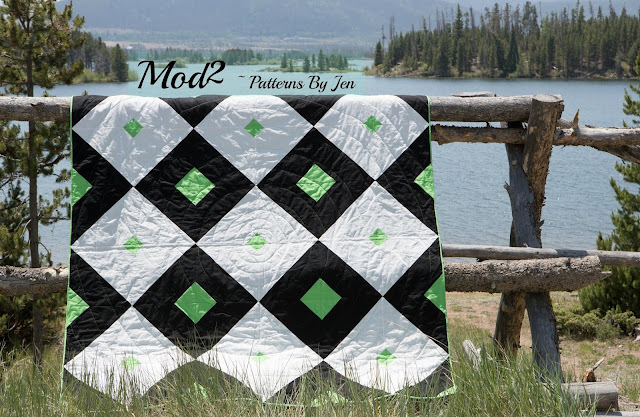 It's June, which means that we are officially halfway through the Classic Meets Modern BOM Quilt Along, and it's the perfect time to get yourself caught up if you're a little behind (hint, hint!). 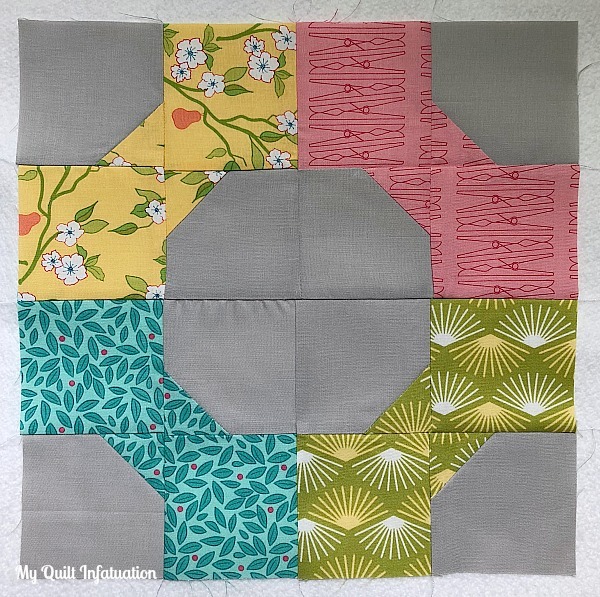 This month's blocks were quick and simple to sew, and that's always a win in my book. *ps- if you're looking for this week's NTT, you can find it HERE. 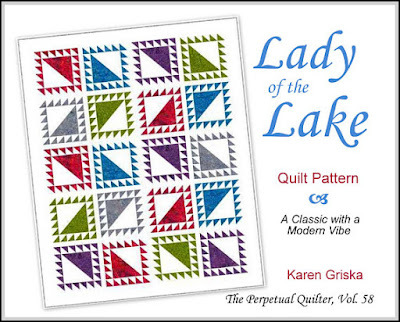 I may be odd, but it is so thrilling to me when the idea for a new quilt is hatched. The post How This Quilt Was Born and a Reveal appeared first on Color Girl Quilts by Sharon McConnell. Today is the first day of the Modern Marks Blog Hop. 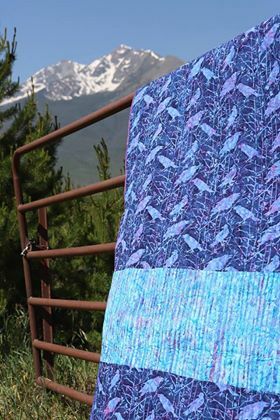 If you are new to Patterns By Jen, welcome! I hope you enjoy your stop. 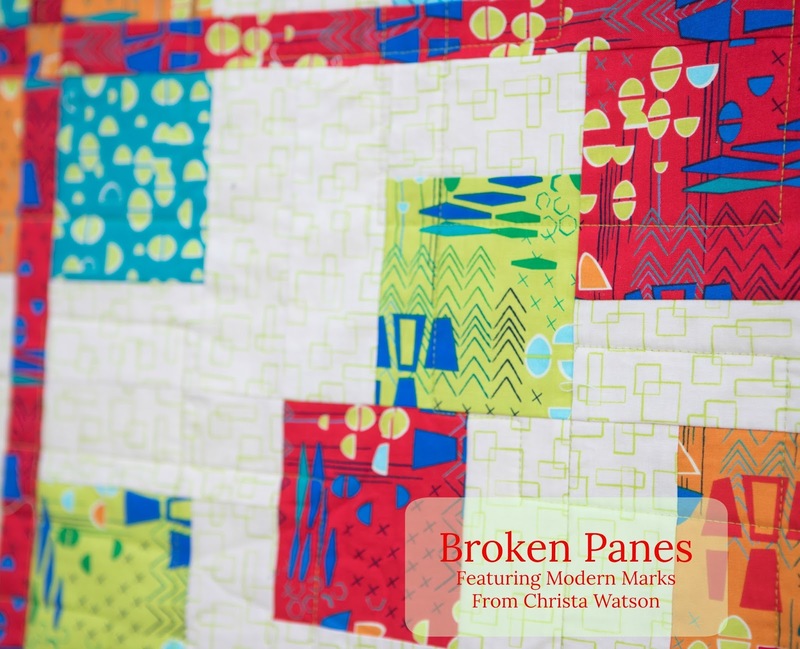 Sew In Love With Fabric (Benartex's blog) has an interview with Christa to start off the blog hop. Don't miss the rest of the bloggers listed at the end of the post, and the giveaway! 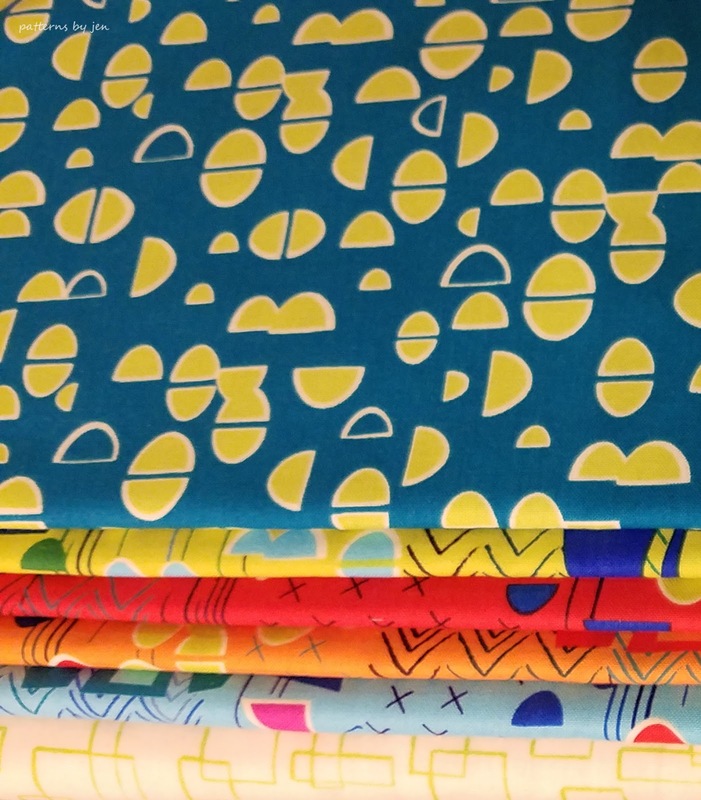 Modern Marks is Christa Watson's first fabric line for Benartex.